The Mascot began early on as an experiment, after talking the family and winemaking team into sparing a few barrels of wine – produced from our younger vines – to explore a blend of my own. In the first few years, before it had a label or a name, it was just a wine shared with friends and family. It wasn’t until the 2008 vintage, our first official release, that we had enough to share with new friends. 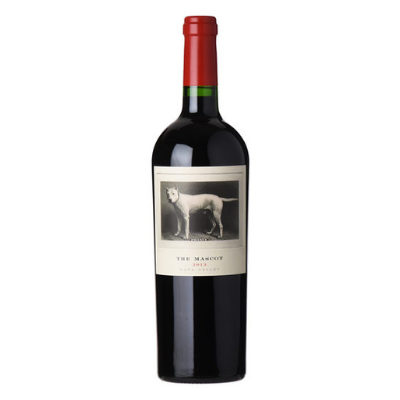 This cabernet is a hedonistic blend of power and balance; expressive and approachable early in its life, with potential to evolve well into the future. Ready to drink upon release, it will age for decades given the opportunity. Having endured two years of drought within the region, vines were no stranger to adversity by the time they saw the dry growing season of 2013. Adversity, however, often reveals strength; and in the case of The Mascot, pedigree. The younger vines of Harlan Estate, BOND, and Promontory bore well-formed clusters with small, dense berries. The juice was concentrated and finely balanced; skins thickened by wind yielded great structure and strength. Consequently, the final blend exhibits an athletic intensity that accelerates across the palate into a long-sustaining finish. Where the 2012 vintage is supple, plush, and expansive, 2013 is dense, deep, and complex—yet they share a vibrant core.